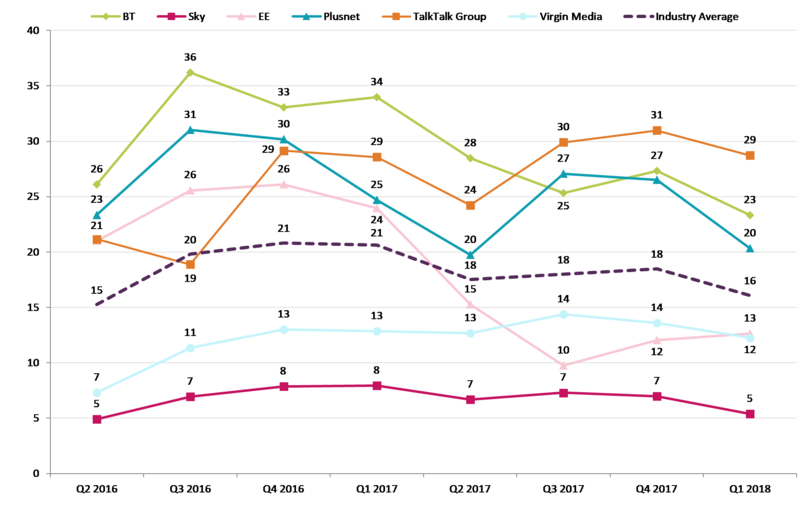 Ofcom has today published the latest league tables on the complaints it receives about the UK’s major providers of telecoms and pay-TV services. 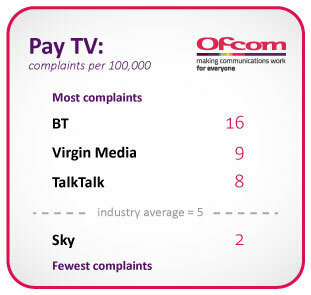 The quarterly report reveals the number of complaints made to Ofcom about the UK’s largest providers of home broadband, landline telephone, pay-monthly mobile and pay-TV services, between January and March this year. 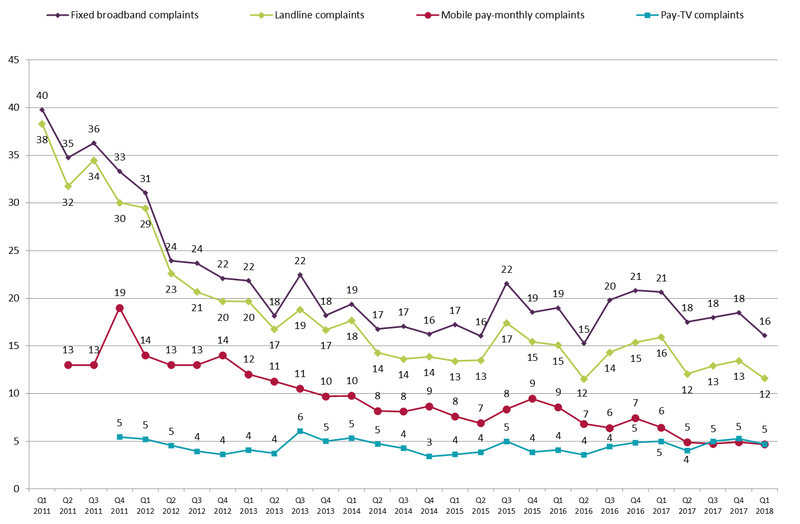 Overall complaints about broadband and landline services decreased last quarter, while there was no change in the total number of complaints received about mobile and pay-TV. 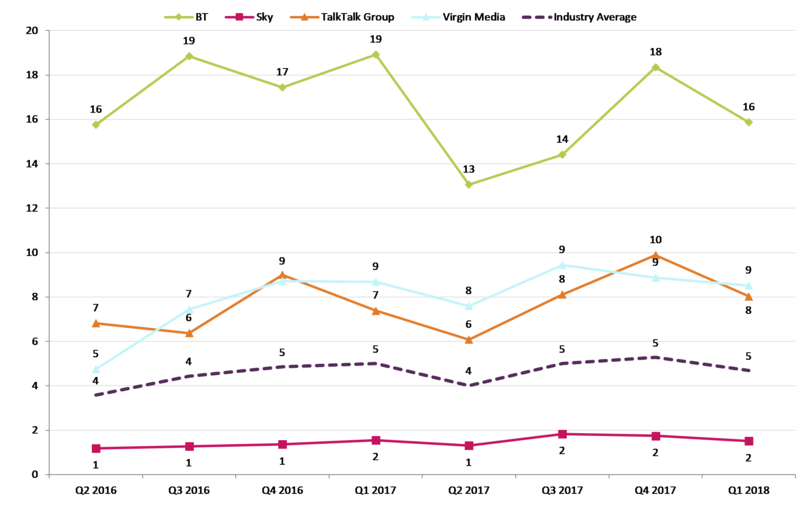 Sky received the lowest number of complaints for broadband, landline and pay TV services, with Tesco Mobile the best performing for pay-monthly mobile. For several years, both companies have performed consistently well compared to the industry averages for these services. By publishing this data, we aim to help people look beyond price when they are shopping around for a new provider. Our comprehensive customer service quality report also offers further useful information on choosing the best provider. 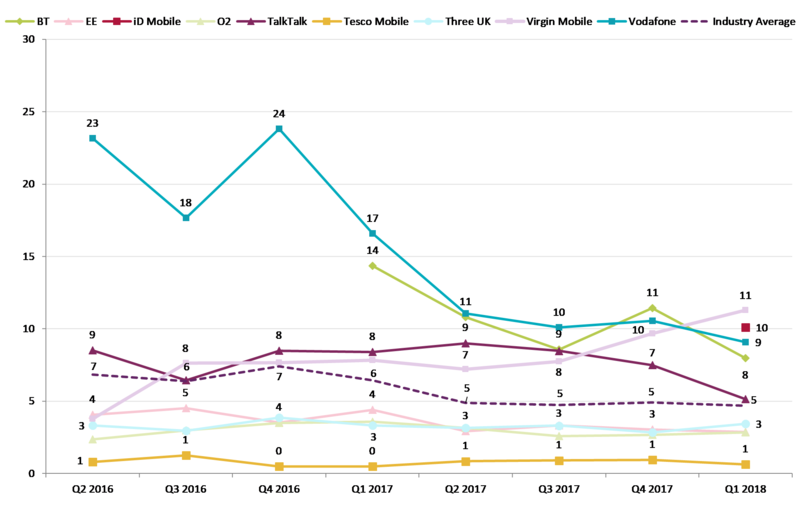 For the first time, iD Mobile features in the complaints table, after achieving a stable market share in the pay-monthly mobile sector above 1.5% – the threshold for being included in the report. 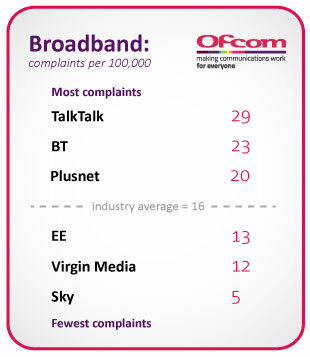 Jane Rumble, Ofcom’s Director of Consumer Policy, said: “It’s frustrating enough when things go wrong, without having to put up with poor customer service as well. 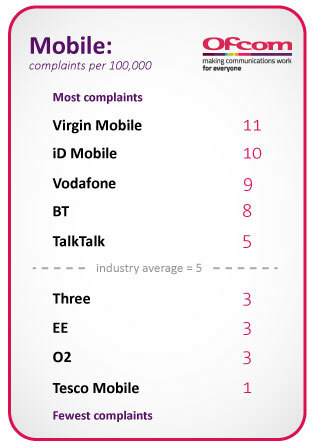 Ofcom receives nearly 300 complaints a day from consumers. Although we cannot resolve individual complaints, we offer consumers advice, and the information we receive can lead to us launching investigations. 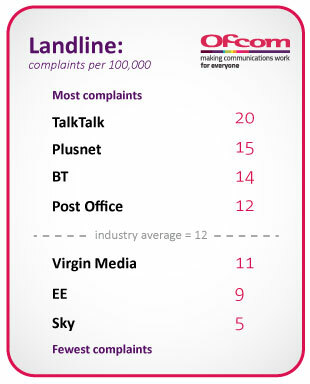 Anyone experiencing problems should complain to their provider first, and can escalate the issue to an independent ombudsman, who will look at the case and make a judgment on the issue. 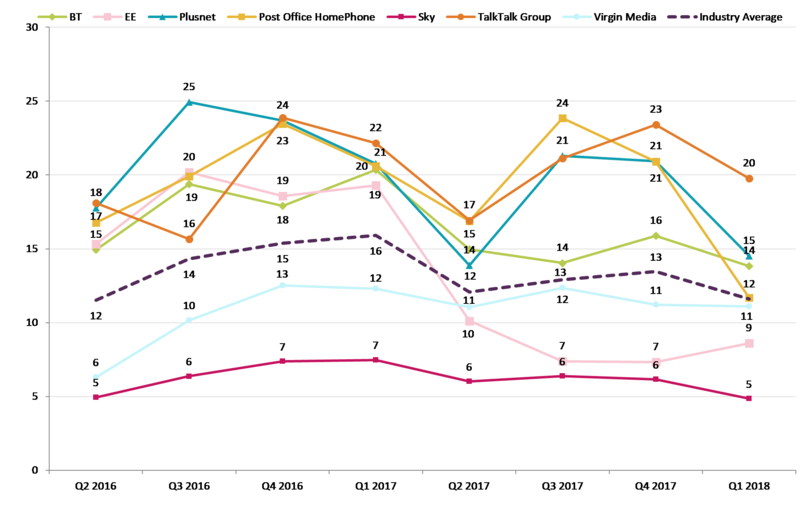 The actual measurable difference between Post Office, the industry average and Virgin Media is less than one, so those results should be considered comparable. Due to the different methodologies used to compile subscriber figures, Vodafone’s performance may be comparable to Virgin Mobile’s. Industry averages are limited to providers included in the report, which are those with a stable market share over 1.5%.